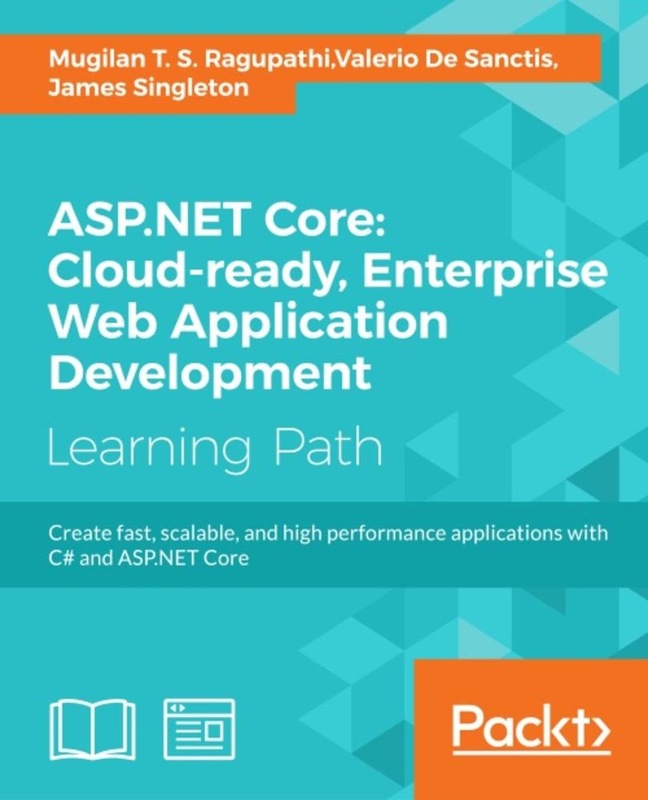 Create fast, scalable, and high-performance applications with C# and ASP.NET CoreAbout This BookGet first-principle coverage of the latest ASP.NET Core MVCFind out how to bring together the capabilities and features of both Angular 2 and ASP.NET CoreDiscover common areas you might encounter performance problems with and areas you don't need to worry aboutWho This Book Is ForThis book is for developers who want to learn to build web applications using ASP.NET Core, those who want to make a career building web applications using Microsoft technology, and those who are working on other web frameworks and want to learn ASP.NET Core.What You Will LearnGet to know the concepts of ASP.NET MVCCreate a Controller with action methodsBuild a view using several features of the Razor View engineConstruct a Model for ASP.NET Core MVC applicationFind out how the features of ASP.NET Core and Angular 2 perfectly complement each otherHandle requests and actions using server-side and client-side RoutingCreate a Data Model using Entity Framework CoreLearn how to use Angular 2 components and master directivesImprove performance at the network level and I/O level, and how to optimize the application as a wholeMonitor performance as part of Continuous Integration and regression testingIn DetailASP.NET Core is the new, open source, and cross-platform, web-application framework from Microsoft. ASP.NET Core MVC helps you build robust web applications using the Model-View-Controller design. This guide will help you in building applications that can be deployed on non-Windows platforms such as Linux.Starting with an overview of the MVC pattern, you will quickly dive into the aspects that you need to know to get started with ASP.NET. You will learn about the core architecture of model, view, and control. Integrating your application with Bootstrap, validating user input, interacting with databases, and deploying your application are some of the things that you will learn to execute with this fast-paced guide. You will test your knowledge as you build a fully working sample application using the skills you've learned throughout the book.Moving forward, this guide will teach you to combine the impressive capabilities of ASP.NET Core and Angular 2. Not only will you learn how Angular 2 can complement your .NET skills and toolkit, you'll also learn everything you need to build a complete, dynamic single-page application. Find out how to get your data model in place and manage an API, before styling and designing your frontend for an exceptional user experience. You will find out how to optimize your application for SEO, identify and secure vulnerabilities, and how to successfully deploy and maintain your application. From here, you will delve into the latest frameworks and software design patterns to improve your application performance.The course offers premium, highly practical content on the recently released ASP.NET Core, and includes material from the following Packt books: Learning ASP.NET Core MVC Programming, ASP.NET Core and Angular 2, and ASP.NET Core 1.0 High Performance.Style and approachThis learning path takes a first-principles approach to help you understand and implement ASP.NET MVC solutions. 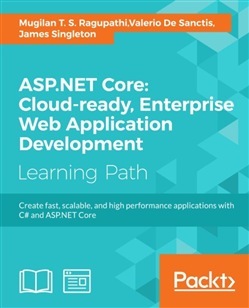 Acquista ASP.NET Core: Cloud-ready, Enterprise Web Application Development in Epub: dopo aver letto l’ebook ASP.NET Core: Cloud-ready, Enterprise Web Application Development di Valerio De Sanctis, James Singleton... ti invitiamo a lasciarci una Recensione qui sotto: sarà utile agli utenti che non abbiano ancora letto questo libro e che vogliano avere delle opinioni altrui. L’opinione su di un libro è molto soggettiva e per questo leggere eventuali recensioni negative non ci dovrà frenare dall’acquisto, anzi dovrà spingerci ad acquistare il libro in fretta per poter dire la nostra ed eventualmente smentire quanto commentato da altri, contribuendo ad arricchire più possibile i commenti e dare sempre più spunti di confronto al pubblico online.